Congratulations to Angela Ashman and her family, who were nominated by Lindsey Pressey! 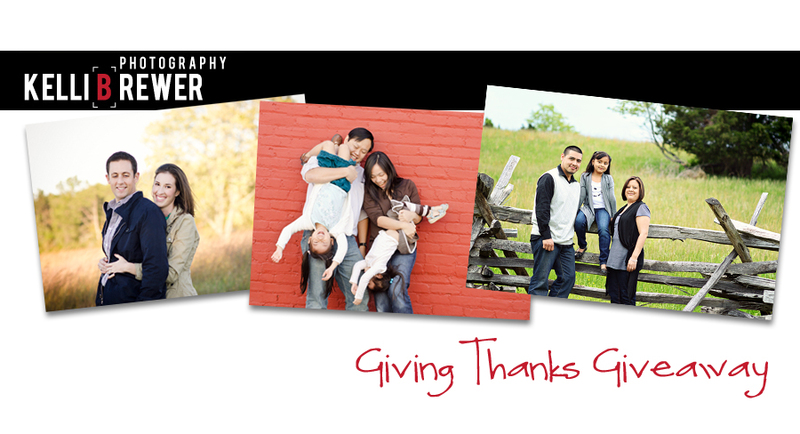 That means Angela and her family have won a FREE session from Kelli Brewer Photography and for nominating her friend, Lindsey and her family have won $100 off a future session with Kelli Brewer Photography! Wahoo!! 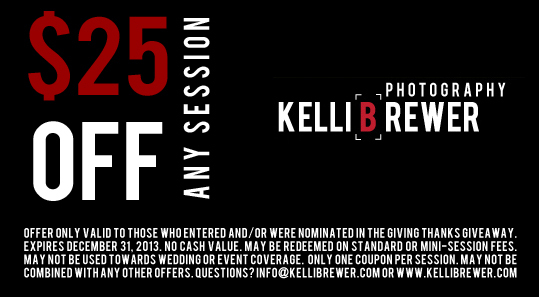 Lindsey - please email me at info@kellibrewer.com to claim the free session for your friend!